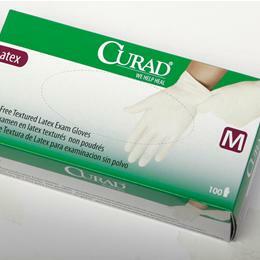 Curad Pf Latex Exam Gloves: Medline Latex Exam Gloves Have Excellent Barrier Properties Combined With Great Fit And Feel. The Textured Surface Ensures A Secure Grip While The Superior Elasticity Provides Exceptional Comfort And Strength. Large.